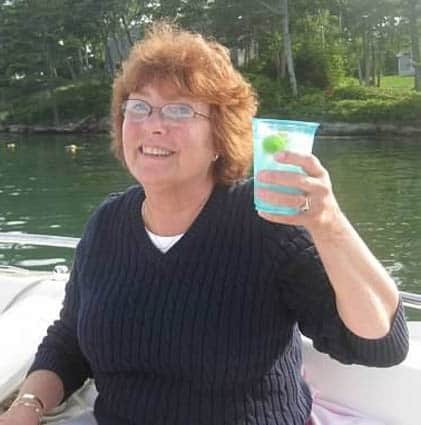 The greater Killington community has lost a dear friend, devoted wife and mother, wonderful mentor, enthusiastic volunteer, and astute businesswoman with the passing of Dee Montgomery on June 19 after a brief illness. She was one of several early and longtime residents who moved to Killington to raise a family. A hard worker, Dee made a difference in the lives of not only her own family but those of many others, both through her contributions to the town and by her many gifts which included genuine delight in helping others, whether employees of the many Montgomery businesses or high school students. Diane “Dee” Martin Montgomery was born on October 16, 1945 in Elizabeth, New Jersey, the daughter of Franklin Armstrong and Olive (Smyth) Martin. She received a bachelor’s degree from Middlebury College, where she was active with the Tri Delta Sorority, women’s field hockey team, National Honor Society and French Club, and skied at the Snow Bowl. After graduate studies in business at New York University, she became a commercial loan officer for Manufacturers Hanover at Rockefeller Center (N.Y.). It was during this time that she met her husband Robert “Bob” Montgomery, whom she married in 1969. After a move to Boston, where Dee was a commercial loan officer for New England Merchants Bank, they continued to commute to Vermont where they skied at Killington and managed a few ski houses. They moved to Killington in 1971. In addition to supporting her husband in the founding of the Montgomery Company real estate business and opening the (former) Howard Bank branch in Killington, Dee took on various responsibilities and roles in development projects like the Mountain Inn, Mountain Green, and Comfort Inn. Most recently, she worked for the Killington Group. Throughout all her jobs and positions, Dee was known, respected, and loved for her patience and uncanny ability to manage employee-employer relationships and for her willingness to help people. A volunteer who also wanted the best for the town’s children, Dee was one of the founders of the United Church of Christ Sunday School, an early member of Killington Women’s Club, and an original trustee of the Killington Mountain School, where she also taught and tutored students in French and Spanish. Discovering a passion for helping young people, Dee joined Strategies for College in Rutland in the 1990s and as a college counselor worked with juniors and seniors at high schools throughout Vermont. She continued to offer her services to friends and family from her Killington home until her death. It was during this time that she saw the many difficult situations that students face in deciding on a college and their futures. Realizing how fortunate her own family had been and appreciating the good educations their two sons had received in local schools, “Dee developed an interest in giving back to the community through the establishment of a scholarship fund. She wanted to help students further their education after high school,” Bob Montgomery said of her plans. “Dee led a very fulfilling life, and we want to fulfill her last wish by establishing that non-profit foundation in her honor,” he added. But realizing that students have different aptitudes, Dee saw a need for not limiting financial assistance to those who attend four-year colleges only, he noted. In keeping with her desire to help with a multitude of needs facing high-school graduates, students will be able to apply for “need-based financial help for any one, two, or four-year post-high school accredited educational program. A committee will be established to receive applications from Killington residents/students graduating from Woodstock or Mount Saint Joseph High Schools. Anyone wishing to honor Dee’s memory with a contribution may send it to The Diane M. Montgomery Killington Scholarship Foundation, C/O Killington Elementary School, 686 Schoolhouse Road, Killington, VT 05751. In addition to her husband of 45 years, Dee is survived by sons Robert W. “Whit” of Killington and Brian and his wife Jen of Melrose, Mass., and their children Davis and Taylor. She was predeceased by her parents and brothers George and Peter. Friends and family are invited to a celebration of Dee Montgomery’s life at a memorial service to be held Saturday, June 27, at 11 a.m. at the Sherburne United Church of Christ on U.S. Route 4 in Killington and to the reception afterward.